Jumping into Toukiden made me wonder why other monster hunting games are not available on consoles. Toukiden: Kiwami makes the transition look easy and doesn’t feel like a lazy port; as the game is also releasing on the PS Vita. As in every hunting game, you start off by creating your character and your given quite a few options to make your character look unique. 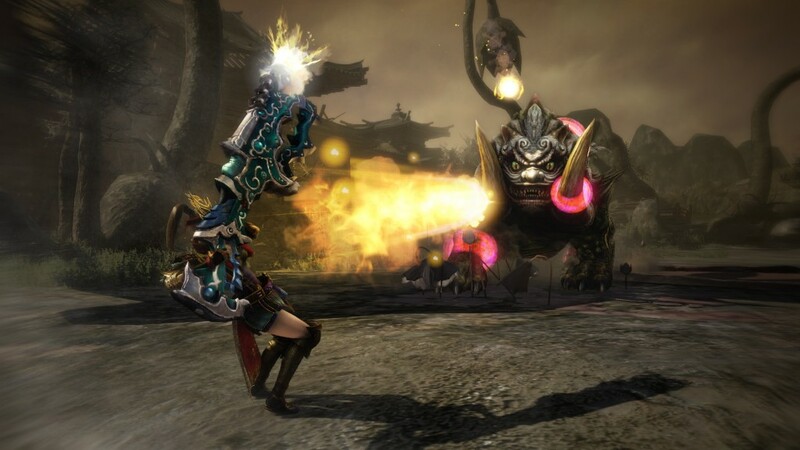 But compared to some other titles, Toukiden is rather light. Next, you’re given the option to choose from around eight different weapon classes and don’t worry if you wanted to try other weapons since you can immediately try the others after a few missions in the game. I started off with the sickle and chain combo and while it may have looked like a unique weapon to try, it ended up being very poor in targeting enemies. So I ended up using the rifle, which is by far one of the funnest weapons in the game but a bit weak when you want to go hunt alone. The world of Toukiden is very small compared to some other titles, since it was made with the PS Vita in mind. But, that’s actually a good thing. The missions are condensed into small areas which can be done in a few minutes and can be played in short bursts. It’s actually refreshing as some games make you invest so much for little outcomes. Getting anywhere in Toukiden is easy; weapon and armor shops are located by the same person, right next to him is the item shop, a few steps more is the mitama shop. Now mitama are souls of fallen hero’s which can be obtained by killing boss Oni’s (Oni are the monsters you fight in Toukiden). These mitama can also level up if you equip them to your main weapon. Each mitama gives your weapon a status boost and they self equip to newer weapons that you’re upgrading to or creating. It’s great that they added that and didn’t make you go into another menu. 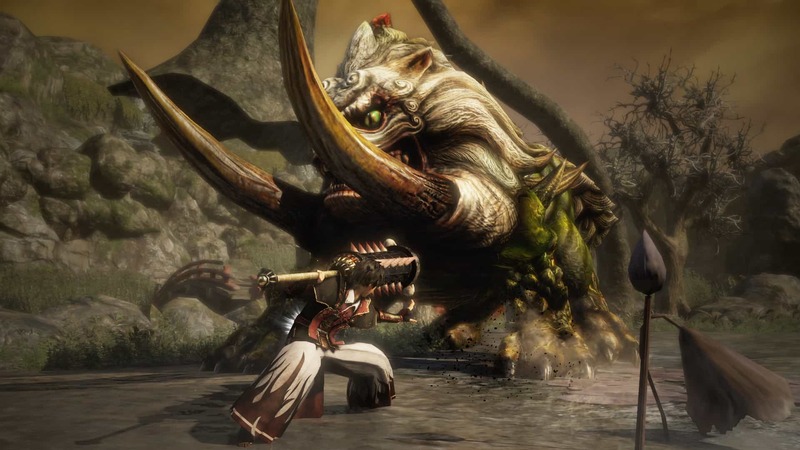 The playstyle of Toukiden is more offensive than other hunting games, and there’s a good and bad to this. The good part is that it doesn’t feel like a bore-fest when actually starting to play; it’s actually very fast and fluid. Now the bad part about this is the actual difficulty becomes a bit too easy. Toukiden: Kiwami gameplay feels very brawler-like and there’s not actual growth besides upgrading your weapon damage. Each weapon has a light and heavy attack that can be comboed into. There’s also special attacks that can be done when you fill up a bar next to you health bar. You get this bar filled up by attacking and killing monsters, which then allows you to unleash the special attack by pressing triangle and circle. The rifle and bow are the only weapons that really slow down the pace of the game as they are ranged weapons but deal heavy damage. My favorite out the two is the rifle. It requires a bit more finesse compared to every other weapon since you have to load up the bullets and you have three choices of bullets. Shotgun, sniper and explosive rounds made killing a Boss Oni much easier as the targeting and mechanics were up to snuff. The rifle while playing alone can be cumbersome, and becomes a difficult task to manage bullets but that’s only if you’re soloing. Some people might think Toukiden: Kiwami doesn’t look great in terms of actual textures, but rest assured, Toukiden is a very sharp-looking game. Its picture quality is one of the best I’ve seen on Playstation 4 featuring a very crisp image and it runs smoothly. It’s very colorful and stand out from the drab color palette that has flowed recent gens of consoles. Accompanied by those looks are the decision to have no english dubs, which is ok but some of the Japanese is actually grating to the ears. It’s just a very weird decision to omit english voice acting as Toukiden is an overall polished effort. Toukiden: Kiwami includes a very cool feature if you’ve already played the demo or the original titles on the Vita; you can now transfer all your data over to the PS4 version. Transferring progression over from the demo was appreciated as there’s nothing more annoying than replaying sections you’ve already done previously. Toukiden has a story, but it feels like it’s just there to show you the characters you can add to your team. Toukiden: Kiwami is better when you play with friends as you can get strategies going and have a bit more control of the situation. The difficulty may vary just because it’s a human partner, i tend to think of the AI in Toukiden as different levels of difficulty the more you add the easier the Oni’s become. Online multiplayer can be activated by going to a headstone in front of the mission headquarters, or your home space where you’re also able to save and change equipment. Online multiplayer plays exactly like you would expect, so fighting bigger Oni’s shouldn’t be much of a problem if you have friends and a decent strategy. Overall, Toukiden: Kiwami is a great package for those who want to try something a bit new as there aren’t too many hunting games on consoles. And Toukiden:Kiwami is the most accessible of the lot. Just be warned, this is not the biggest title in terms of story. The gameplay and the aspect of getting armor and weapons do overshadow it though, bringing you a fun romp for anytime of the day whether it’s for a few minutes or a few hours.